Blackjack is a terrific game to play if you can learn a few rules and follow the top five tips for blackjack success. Like all games, the more you know the better your experience will be. 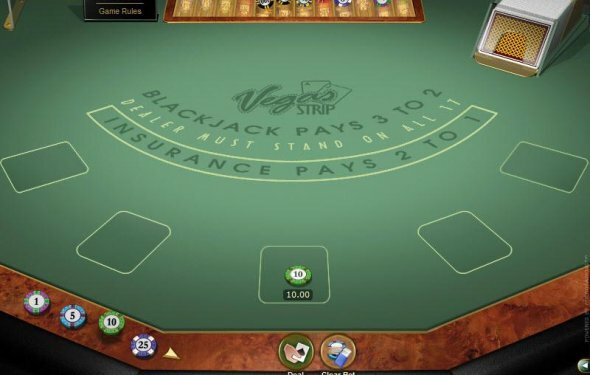 If you don't know the basic play of blackjack, learn how to play blackjack. Once you have the basics under your belt, here are the Top Five Tips for Blackjack Success. You would be amazed at how often a player sits at a table and doesn't know what limit, or even what game they are playing. The dealer can make or break your experience. Find dealers that are friendly so you can enjoy yourself. Dealers work for tips and should be as nice to you as a good waitperson is. If they aren't, what are you still sitting at their table for? Sure, the drinks are free in Nevada and available at most casinos, but don't have so much that you can't make good decisions. Playing blackjack is fun, don't ruin it by keeping yourself from playing at your best. Find a limit that you are comfortable with. You will make better decisions if you are not worried about what you are betting. You can't win every time you play, so play within your means. If you aren't in the mood to have fun and enjoy yourself, you shouldn't be gambling. A good rule is to decide in advance what you are willing to risk, then put only a quarter of that amount on a table at any time. This will force you to consider quitting or finding another table if you don't do well with your first buy-in. Dr. Edward O. Thorp used a computer to work out a mathematical formula for optimal blackjack play in 1961 and wrote the book, Beat the Dealer. The book presented a basic strategy to play, and a way to keep track of all the cards played to decide when to bet more money on each hand. His pioneering work led to a plethora of later blackjack books, but the basic premise that there is a strategy for each player to start with has never been questioned, although the suggestions have been improved over the years. Learn and employ these rules and you will be playing at less than one-half of a percent disadvantage to the house. That's a tiny amount, just five-cents on a $10 bet, which will allow you to win on many sessions of play.